Nancy was born and raised in Napier. Nancy worked for Te Kupenga Hauora – Ahuriri from 1999 – 2012, and has returned after three years in Australia. 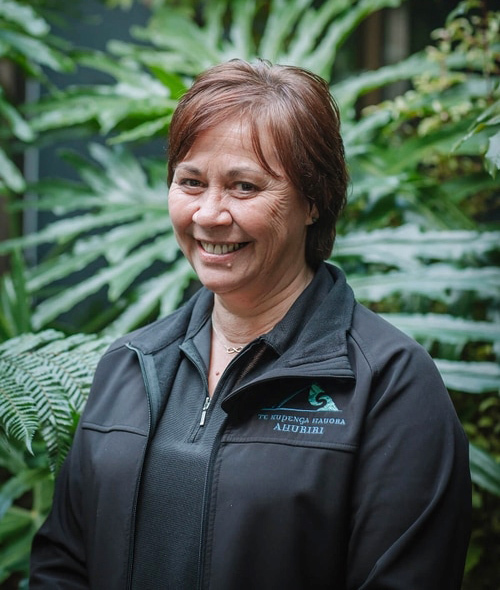 Her role managing the Health Services team sees her ensuring whānau receive quality services from staff that are well equipped with up to date resources, knowledge and skills. Since returning home from Australia, Nancy is enjoying relaxing at home with whānau, spending time at the beach fishing and cooking using the fruits and veges locally grown. Her family and mokopuna are her greatest achievements. Nancy holds a Bachelor of Nursing, Post Graduate Diploma in Child, Family Health and is a certified Auditor of Health Care.